As US attempts to extort a settlement in Syria built on regime-change, US senators and generals conspire to arm and back a new terrorist army aimed at Iran. October 10, 2015 (Tony Cartalucci - LD) - An October 7, 2015 hearing before the US Senate Committee on Armed Forces (SASC) titled, "Iranian Influence in Iraq and the Case of Camp Liberty," served as a reaffirmation of America's commitment to back the terrorist organization Mujahedeen e-Khalq (MEK) and specifically 2,400 members of the organization being harbored on a former US military base in Iraq. 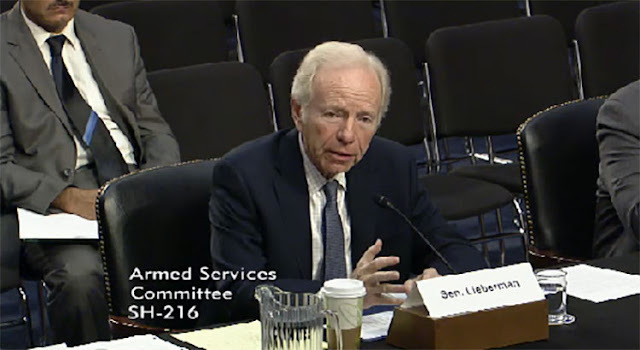 Providing testimony was former US Senator Joseph I. Lieberman, former US Marine Corps Commandant and former Supreme Allied Commander Europe General James Jones, USMC (Ret. ), and Colonel Wesley Martin, US Army (Ret.). All three witnesses made passionate pleas before a room full of nodding senators for America to continue backing not only MEK terrorists currently harbored on a former US military base in Iraq, but to back groups like MEK inside of Iran itself to threaten the very survival of the government in Tehran. It was not only right and just that we took them off the foreign terrorist organization list, but the truth is now that we ought to be supportive of them and others in opposition to the government in Iran more than we have been. Here's my point Mr. Chairman, we ought to compartmentalize that agreement also, that nuclear agreement. We ought to put it over there, and not let it stop us from confronting what they're doing in Syria. Continuing the sanctions for human rights violations in Iran in support of terrorism. And here's the point I want to make about the National Council of Resistance of Iran and other democratic opposition groups that are Iranian - we ought to be supporting them. This regime in Tehran is hopeless. It's not going to change. There's no evidence ... every piece of evidence says the contrary. So I hope we can find a way, we used to do this not so long ago, supporting opposition groups in Iran. They deserve our support, and actually they would constitute a form of pressure on the government in Tehran that would unsettle them as much as anything else we could do because it would threaten the survival of the regime which from every objective indicator I can see is a very unpopular regime in Iran. The United States, unrepentant regarding the arc of chaos, mass murder, terrorism, civilizational destruction it has created stretching from Libya to Syria, now seeks openly to extend it further into Iran using precisely the same tactics - the use of terrorist proxies - to dismantle and destroy Iranian society. While Lieberman, General Jones, and Colonel Martin all failed categorically to accurately describe the true nature of the MEK terrorists they seek to support in a proxy war with Iran, the US policy papers these three lobbyists are reading from have done so and in great detail. 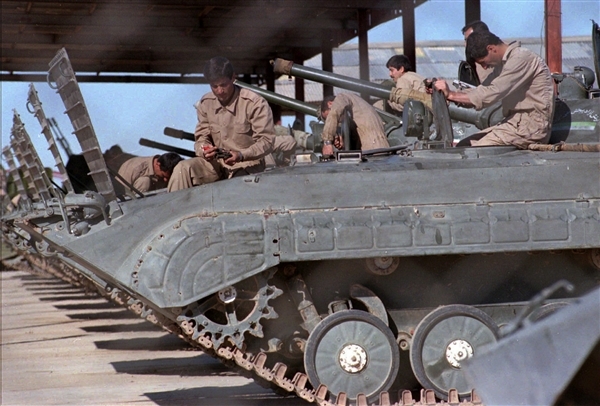 Image: MEK terrorists in Iraq, 1997. Saddam Hussein used MEK terrorists to wage proxy war on Iran. Ironically despite accusing Hussein of state-sponsored terrorism for just such a policy, the US eagerly inherited the terrorist organization and has since then aspired to use MEK in a similar fashion. Not once is any of this backstory mentioned in the testimony of any of the witnesses before the senate hearing, defiling the memories of those who have been murdered and otherwise victimized by this terrorist organization. The de-listing of MEK in 2012 as a foreign terrorist organization by the US State Department is another indictment of the utter lack of principles the US clearly hides behind rather than in any way upholds as a matter of executing foreign policy. MEK has already afforded the US the ability to wage a low-intensity conflict with Iran. 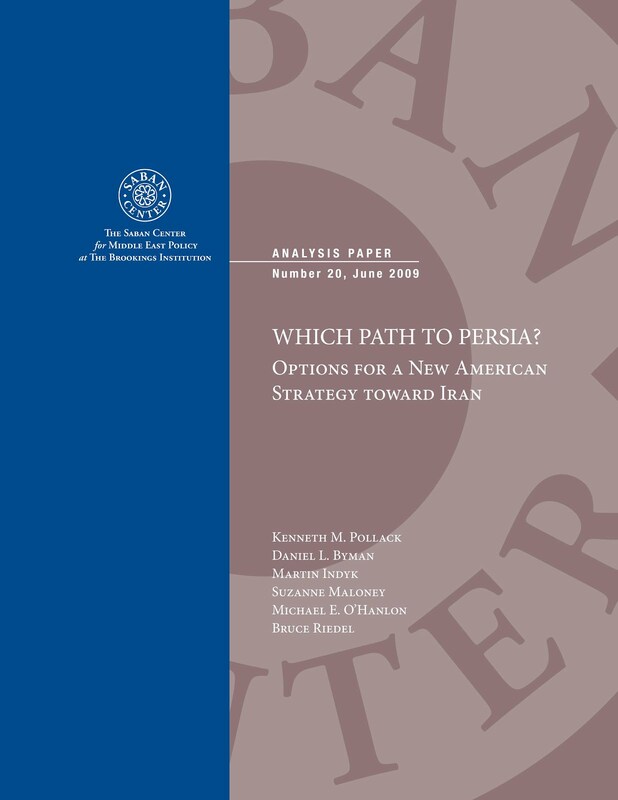 MEK's role in doing so was eagerly discussed in 2009, several years before it was even de-listed as a terrorist organization by the US State Department in the Brooking Institution's policy paper "Which Path to Persia? Options for a New American Strategy Toward Iran" (PDF). Proof that Brookings' policy paper was more than a mere theoretical exercise, in 2012 MEK would indeed be de-listed by the US State Department with support for the terrorist organization expanded. The fact that former senators and retired generals representing well-funded corporate think tanks even just this week are plotting to use MEK to overthrow the Iranian government should raise alarms that other criminality conspired within the pages of this policy paper may still well be in play. Clearly, both Brookings in 2009, and Lieberman this week have conspired to use the so-called "Iranian Nuclear Deal" as cover for betrayal and regime change. For those wondering why Russia has intervened in Syria in the matter that it has, it should be plainly obvious. 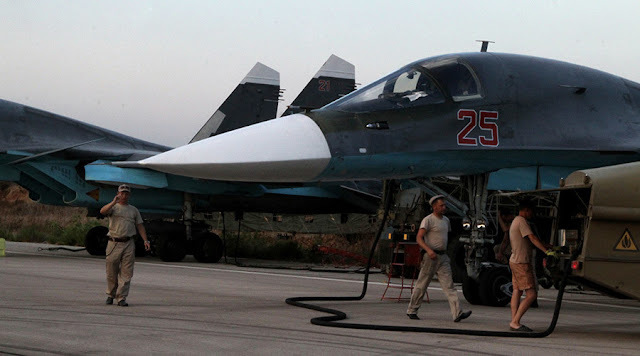 The US has no intention to stop in Syria. With Iraq, Afghanistan, and Libya behind it, and Syria within its clutches, it is clear that Iran is next, and inevitably this global blitzkrieg will not stop until it reaches Moscow and Beijing. Image: Russia is not in Syria to merely "prop up" the Syrian government - it is in Syria to stop a global blitzkrieg that has consumed several nations before Syria, and will consume all nations after Syria, including Russia itself. Even as the US adamantly denies the obvious - that is has intentionally created and is currently perpetuating Al Qaeda, the so-called "Islamic State," and other terrorist groups in Syria, it is openly conspiring to use another army of terrorists against neighboring Iran, live before a US Senate hearing. Should the US succeed in Syria, it would not be the end of the conflict, but only the end of the beginning of a much wider world war.